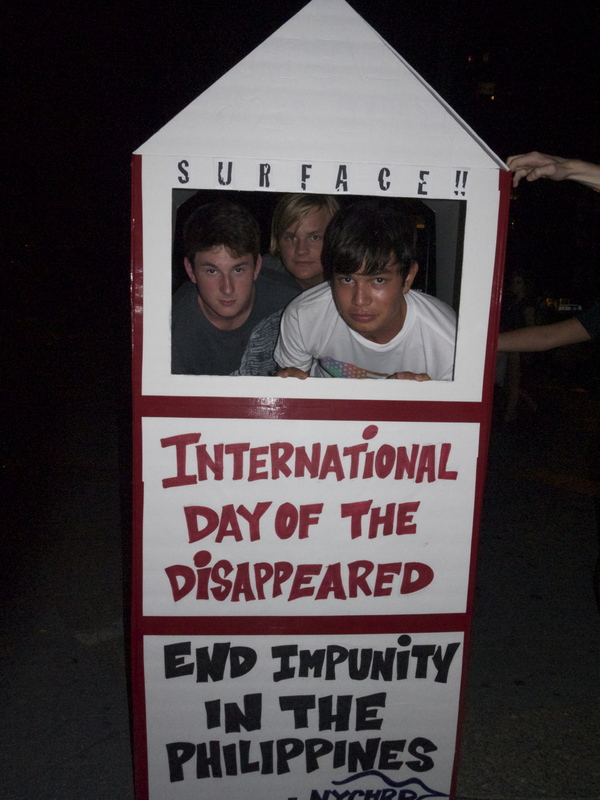 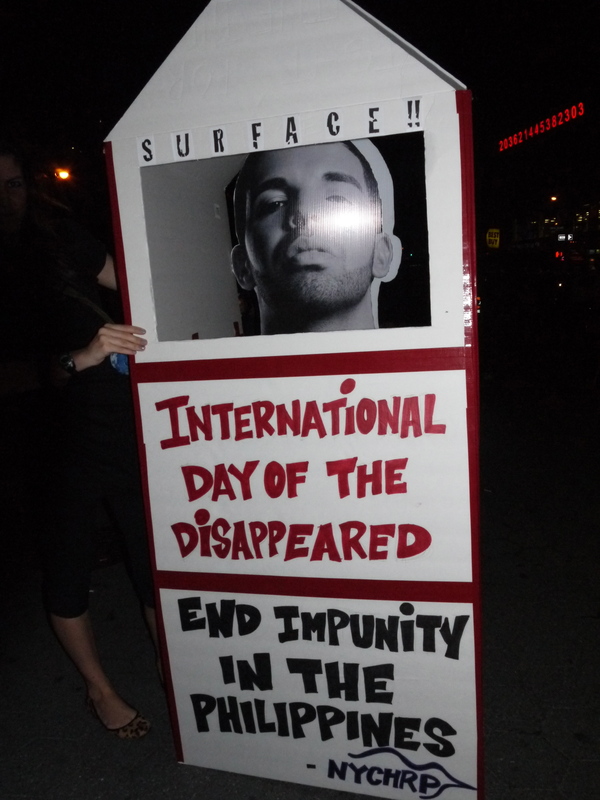 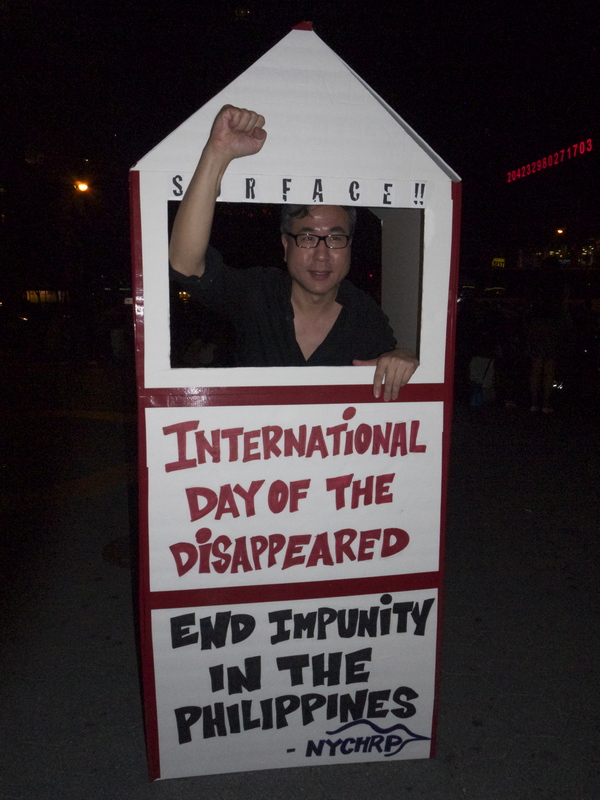 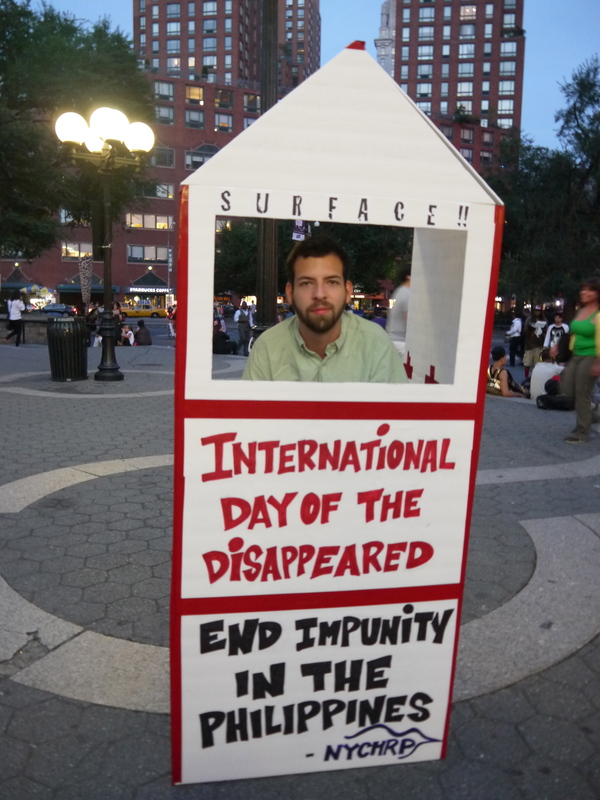 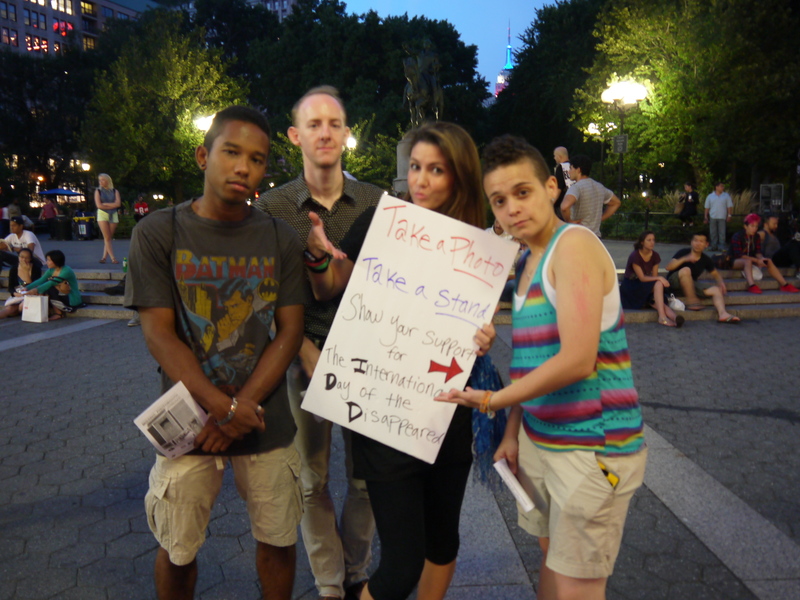 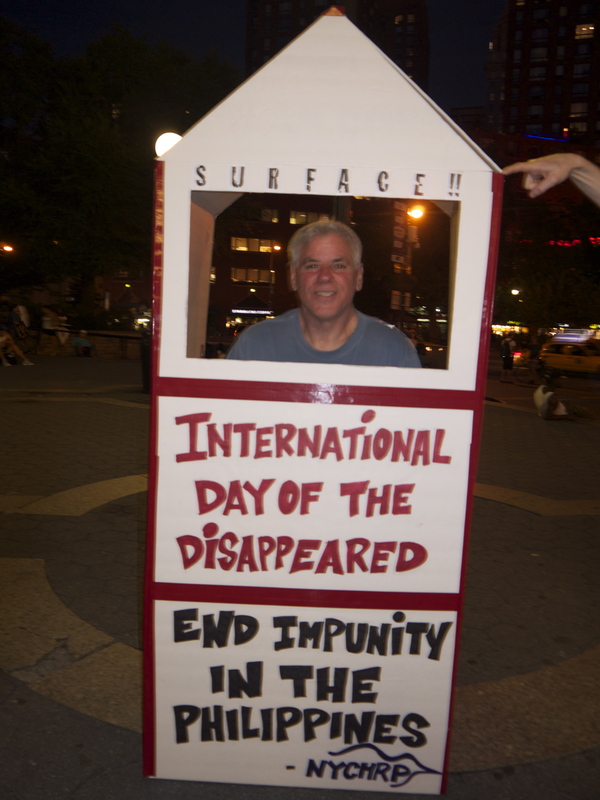 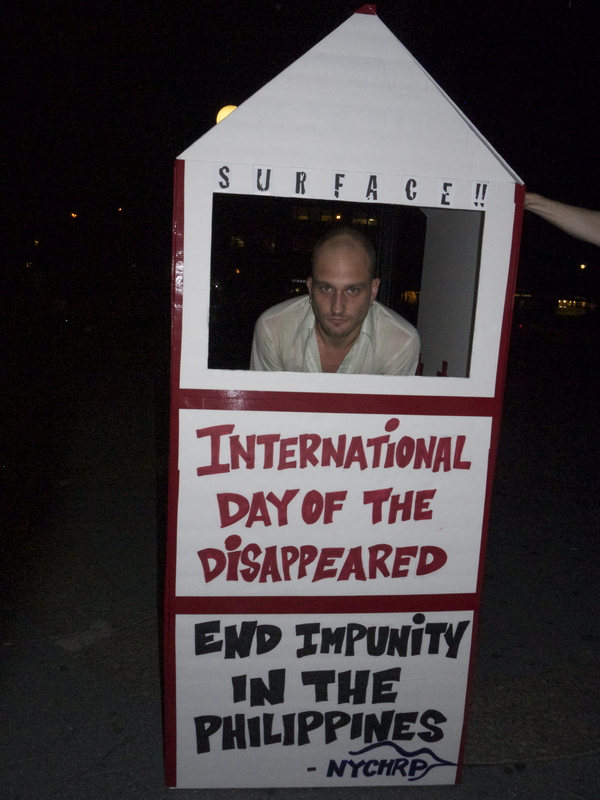 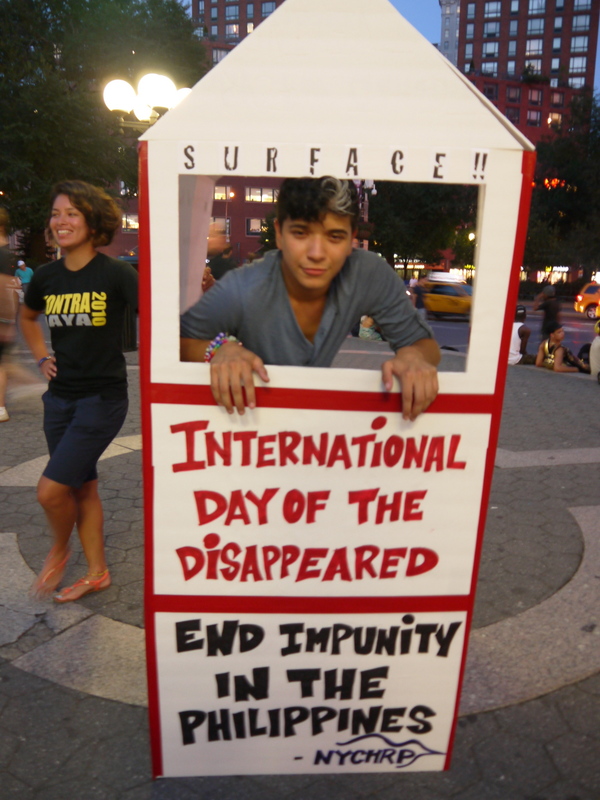 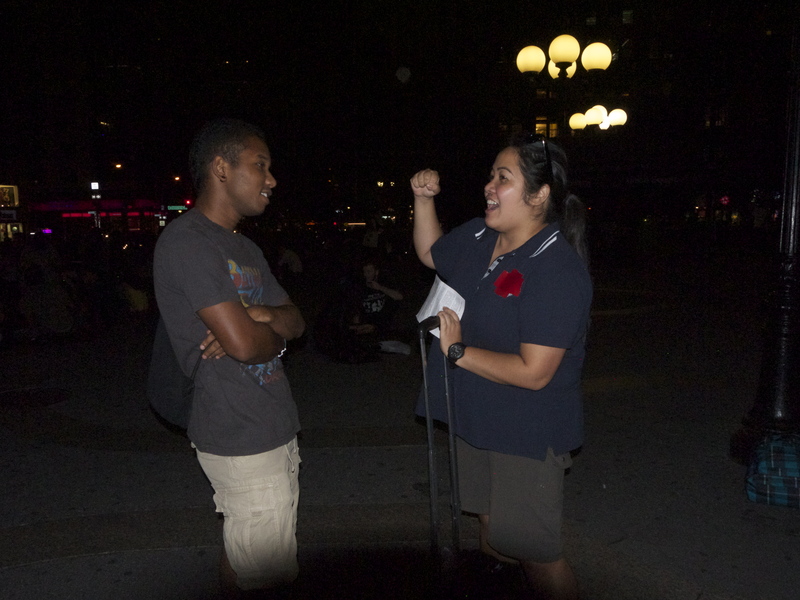 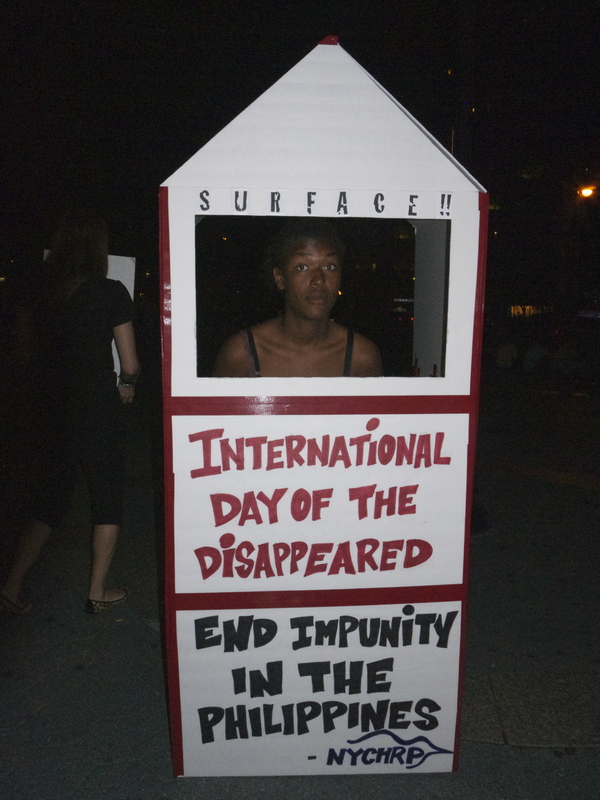 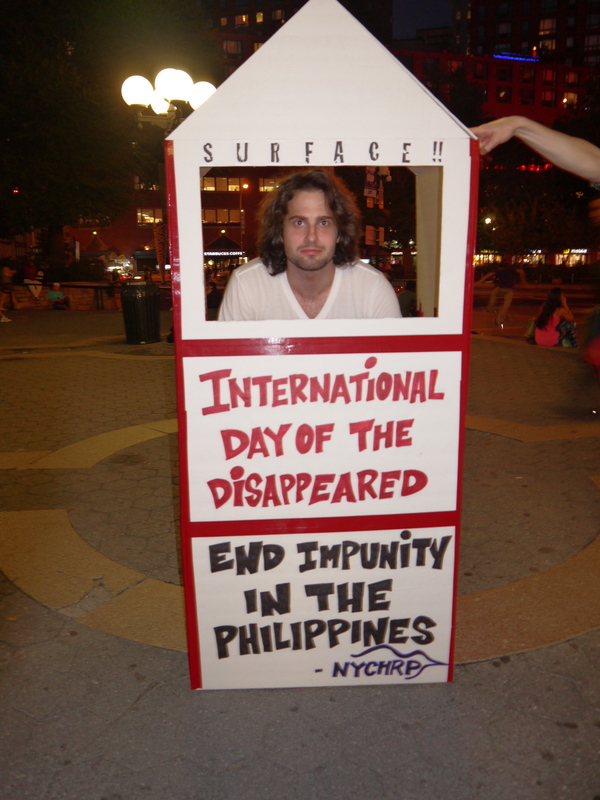 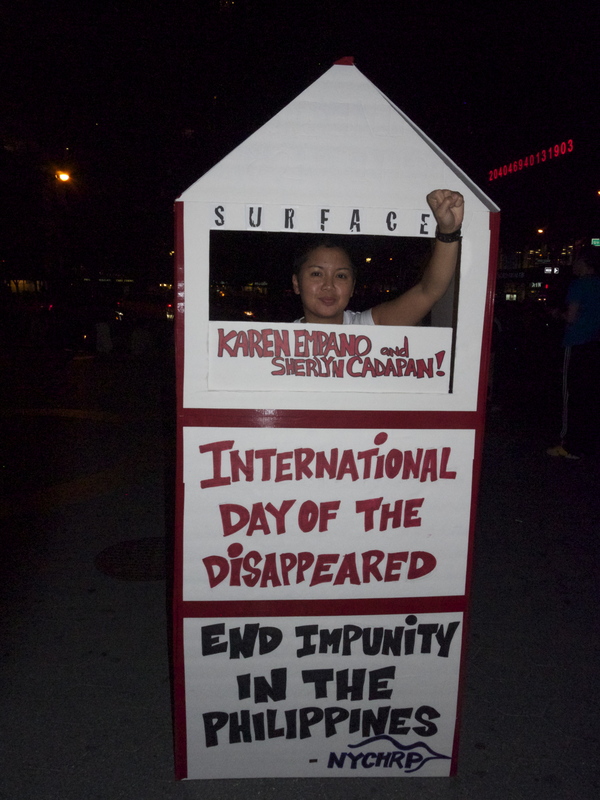 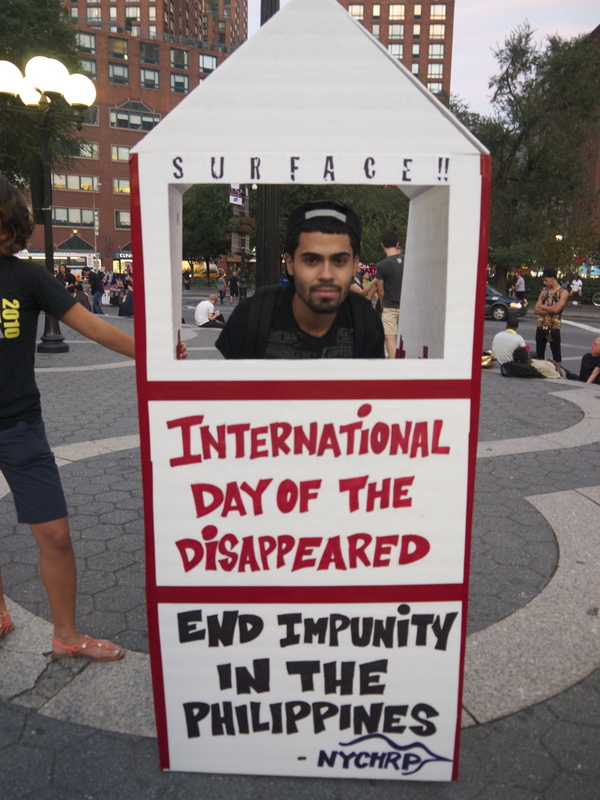 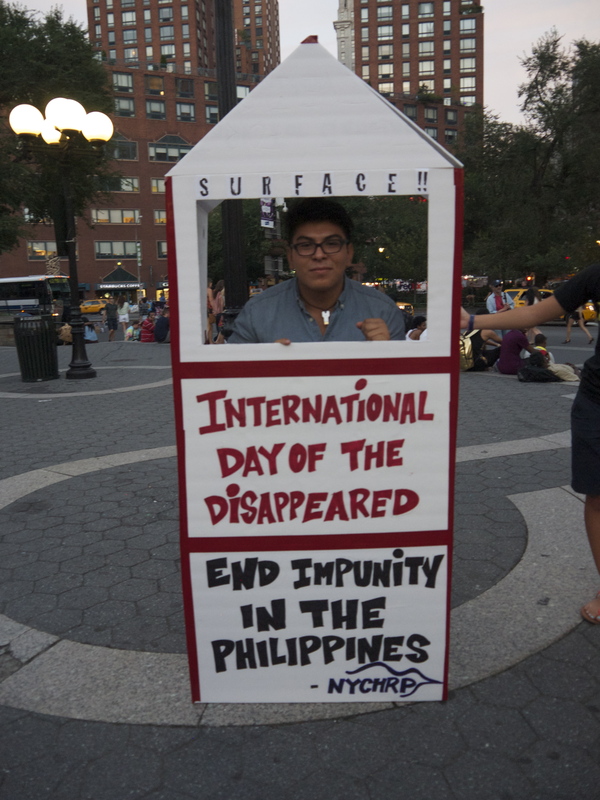 Thank you to everyone who came and supported NYCHRP in the commemoration of the International Day of the Disappeared. 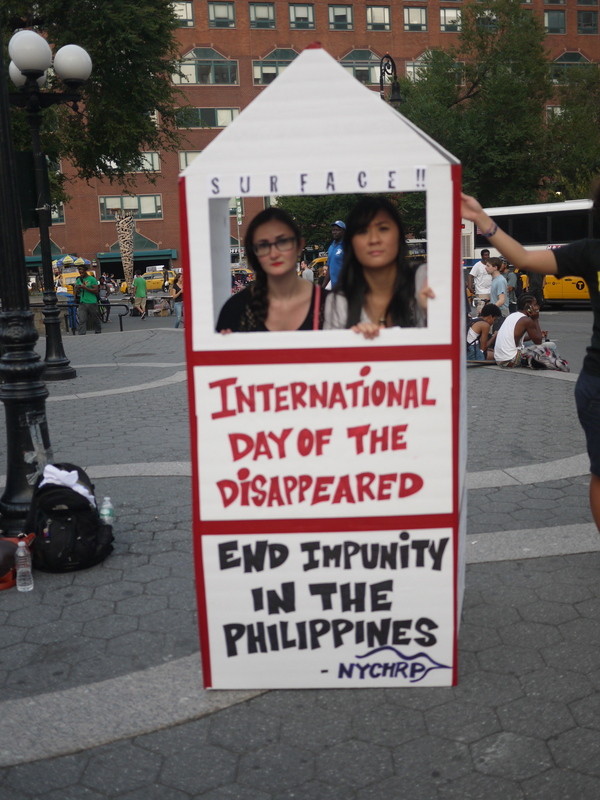 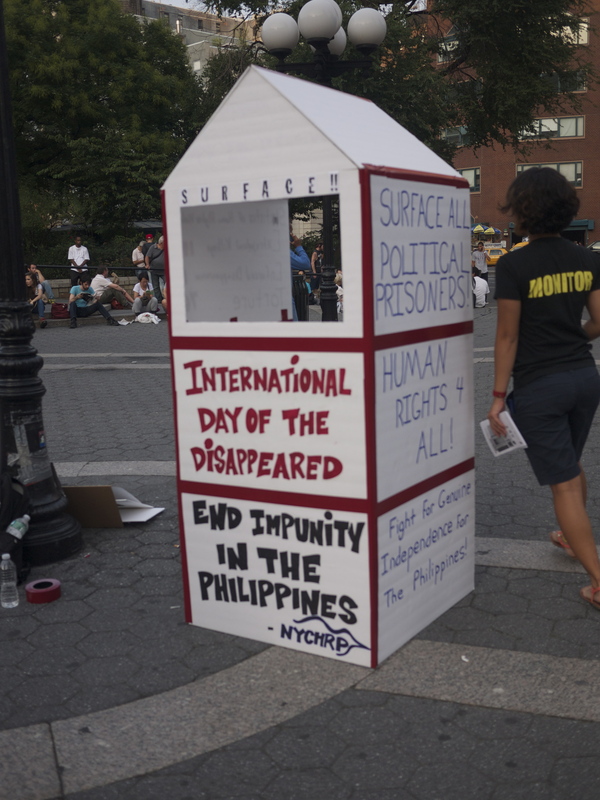 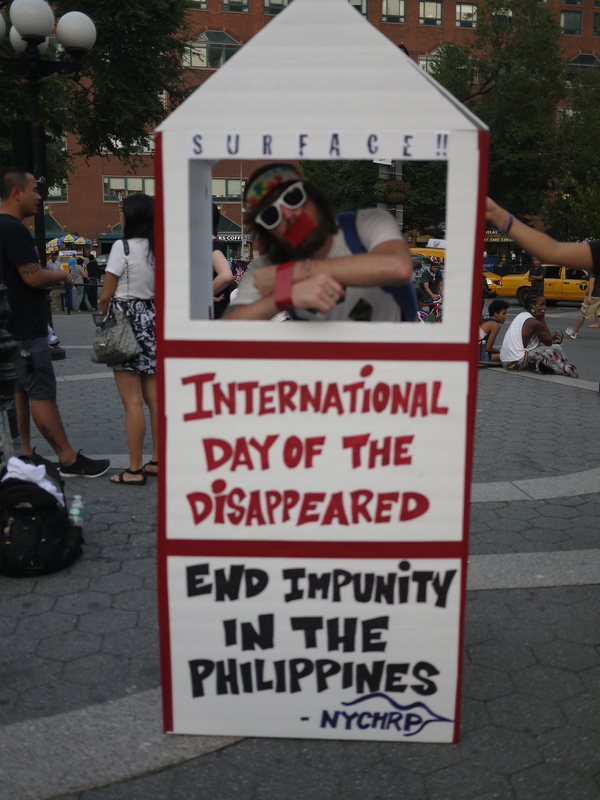 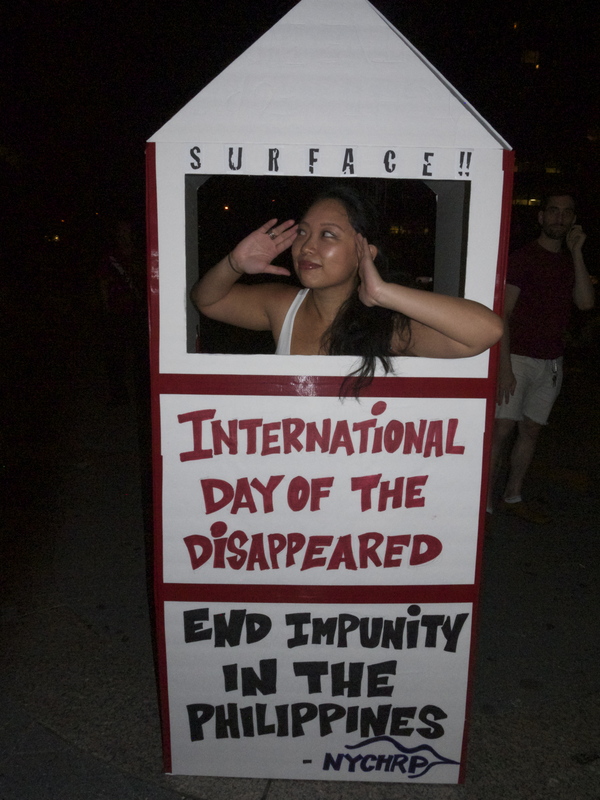 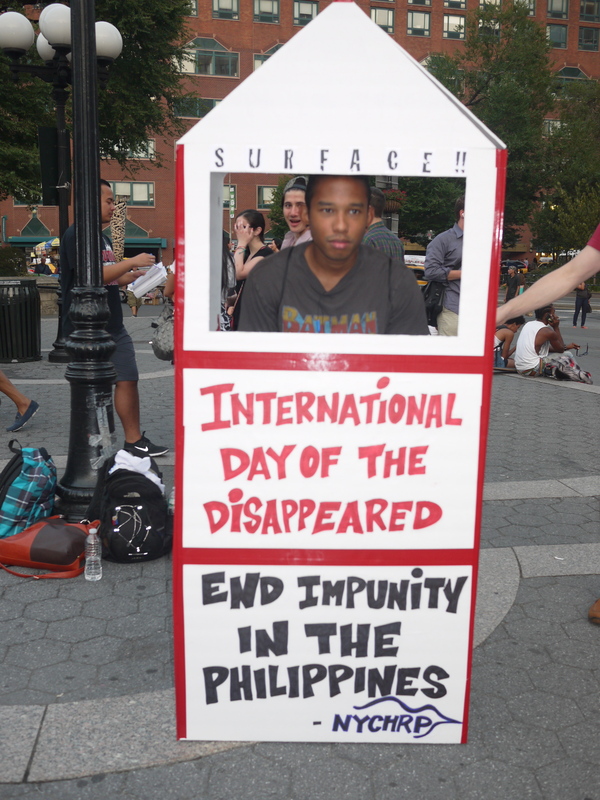 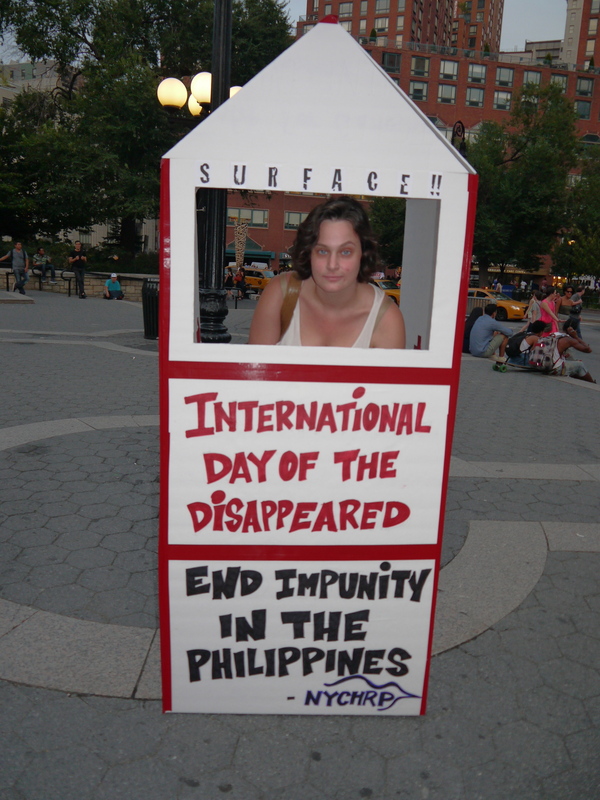 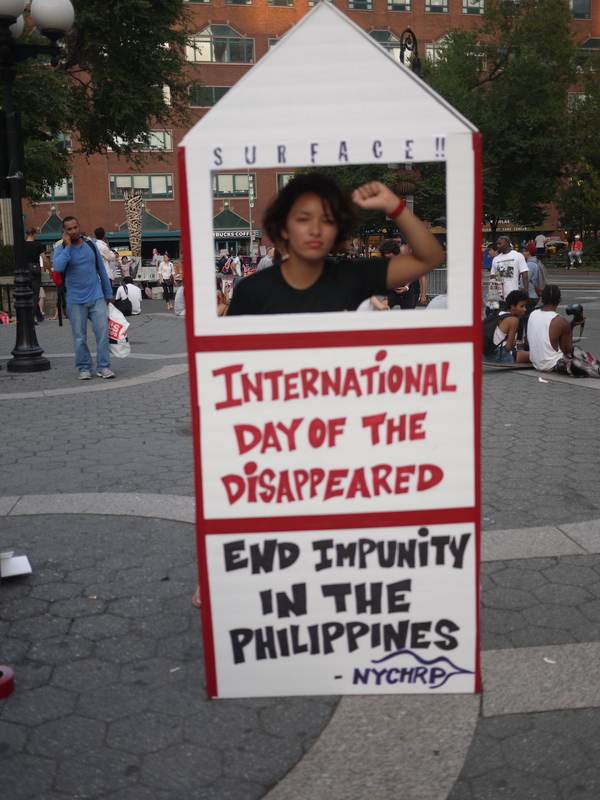 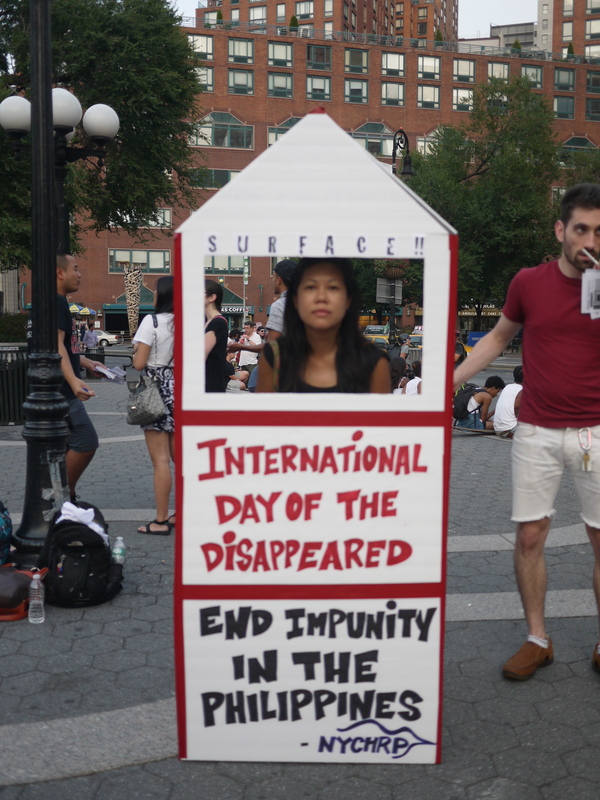 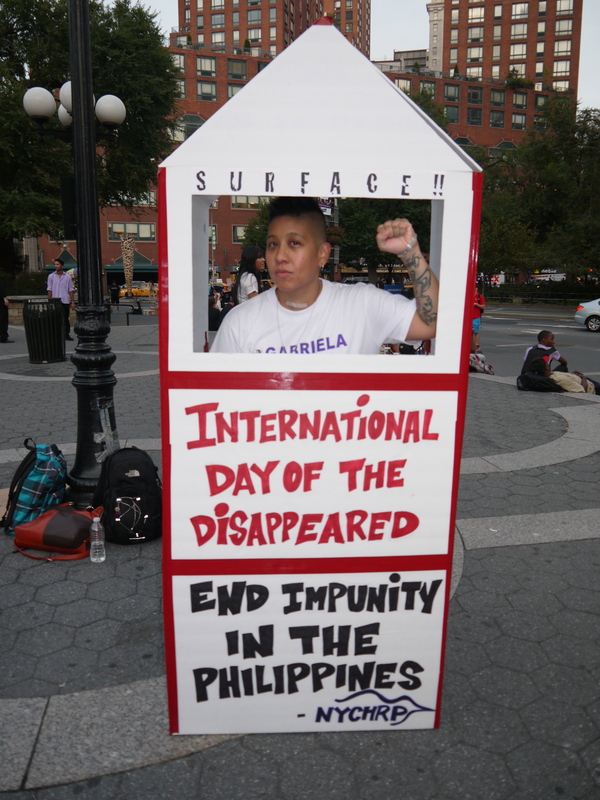 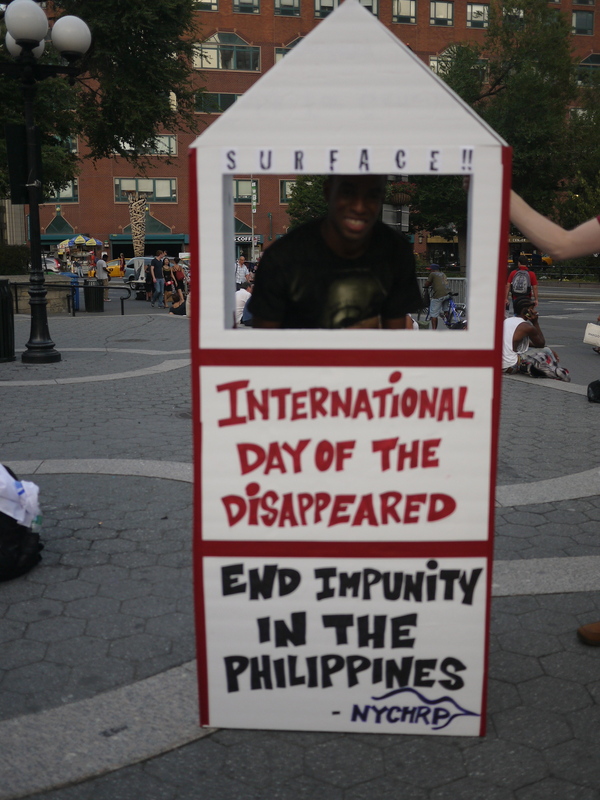 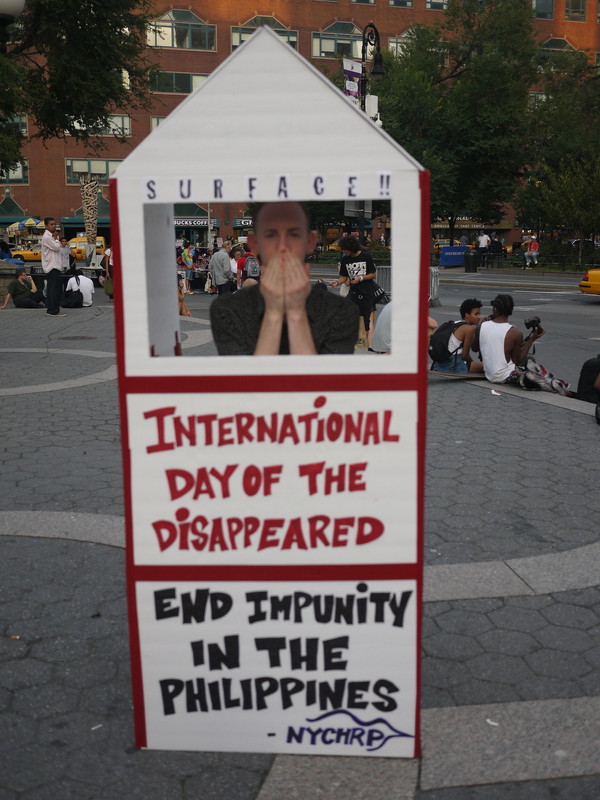 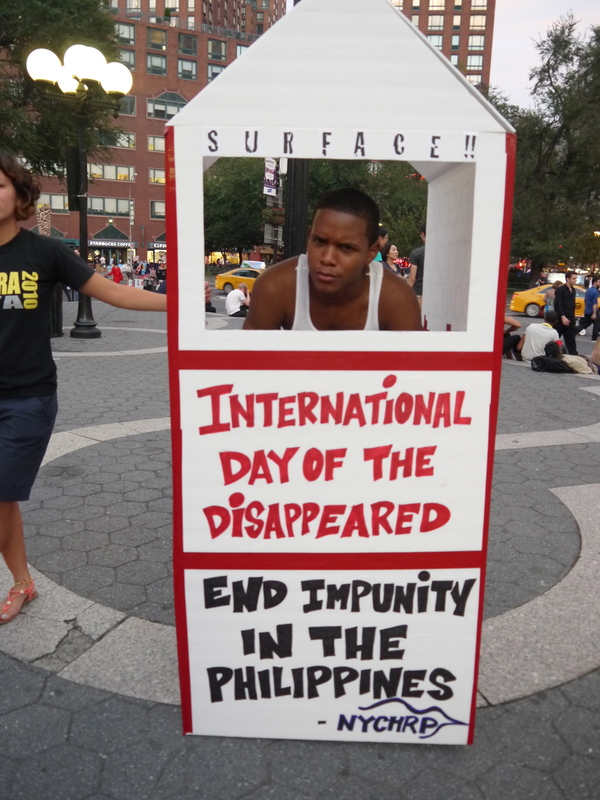 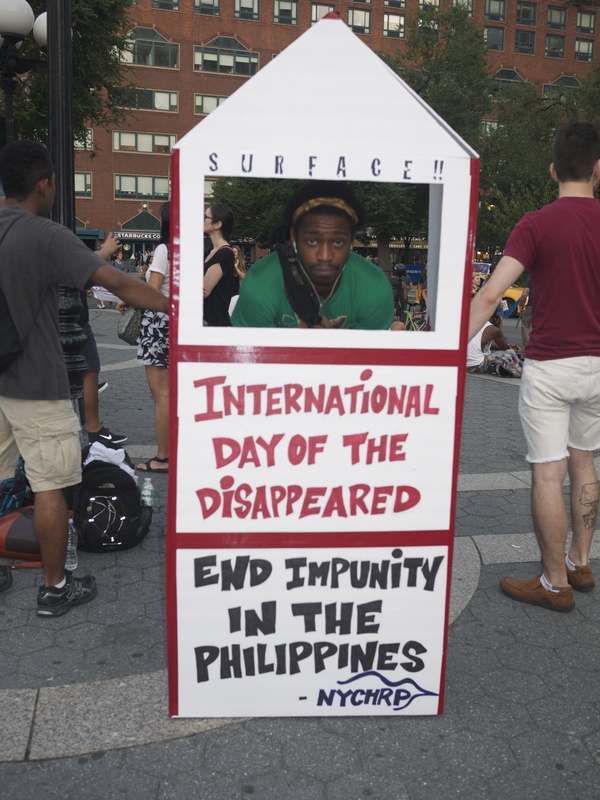 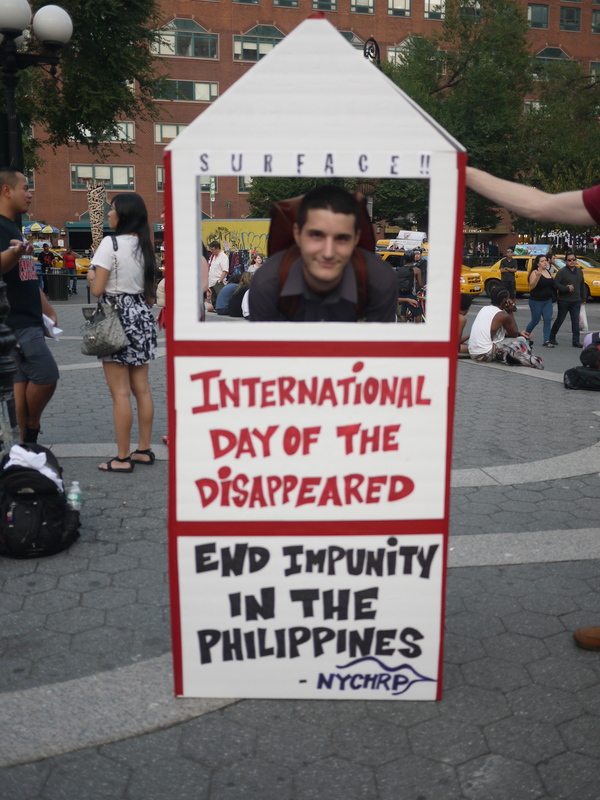 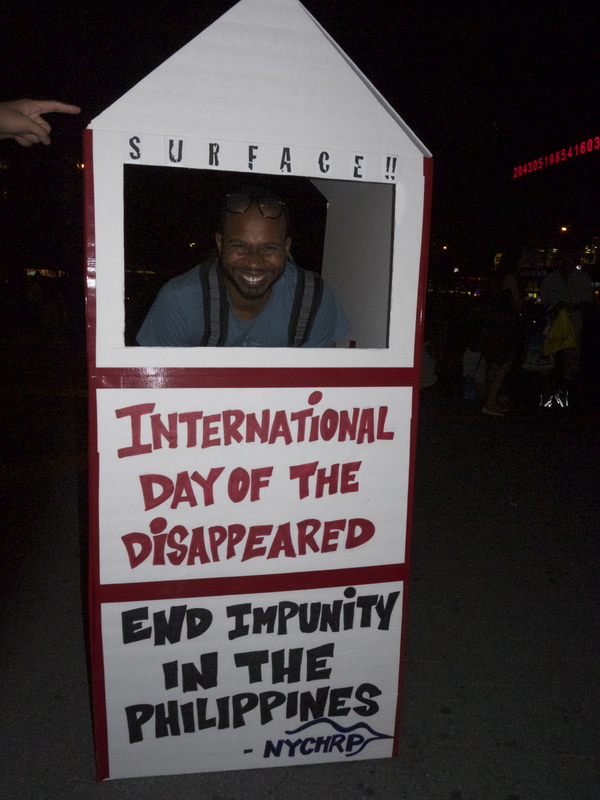 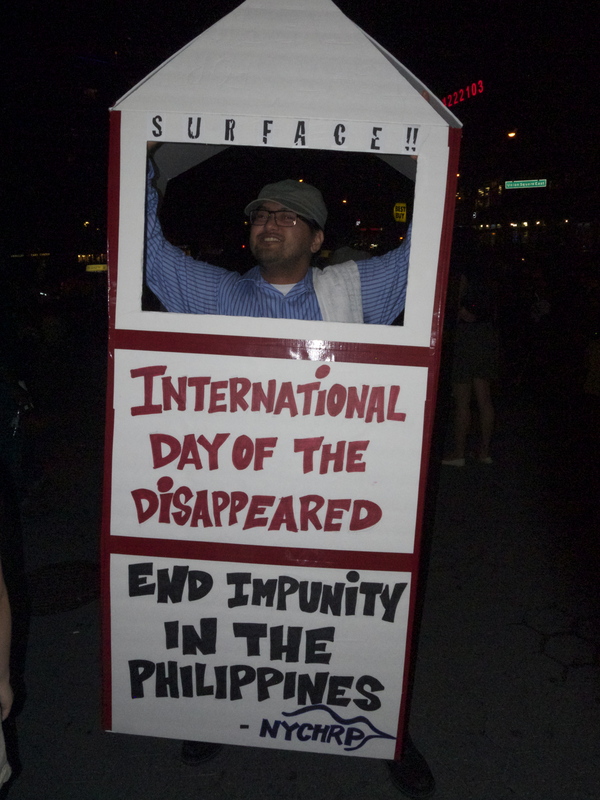 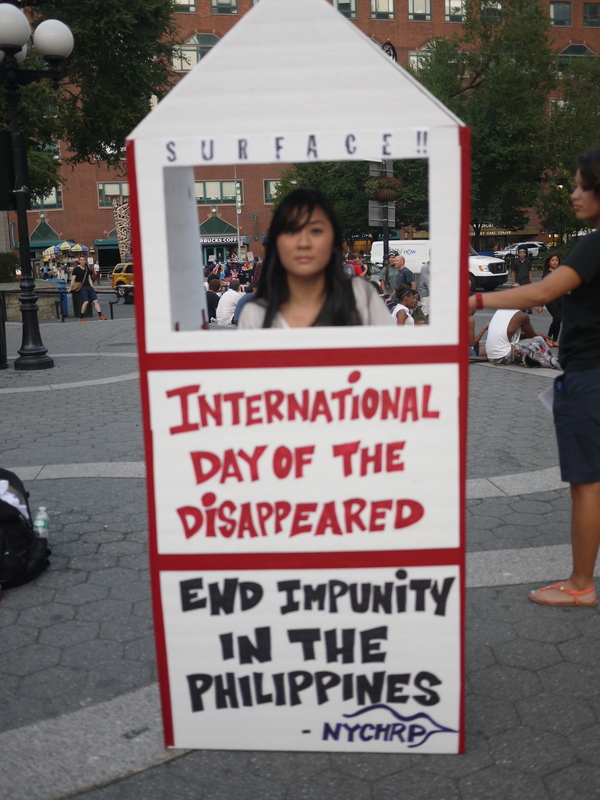 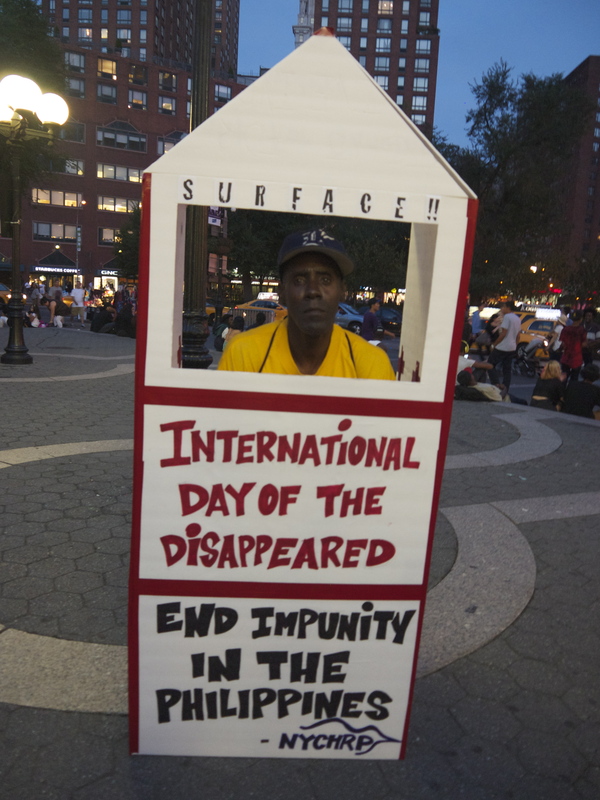 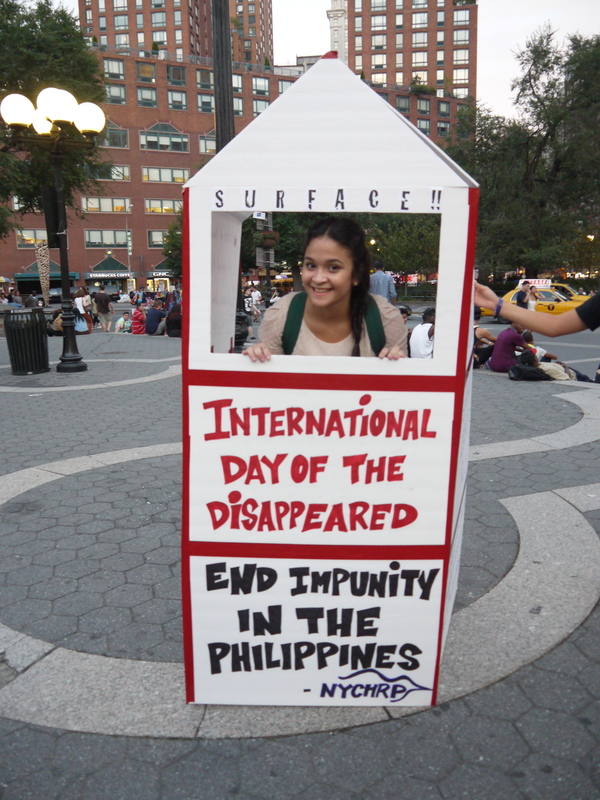 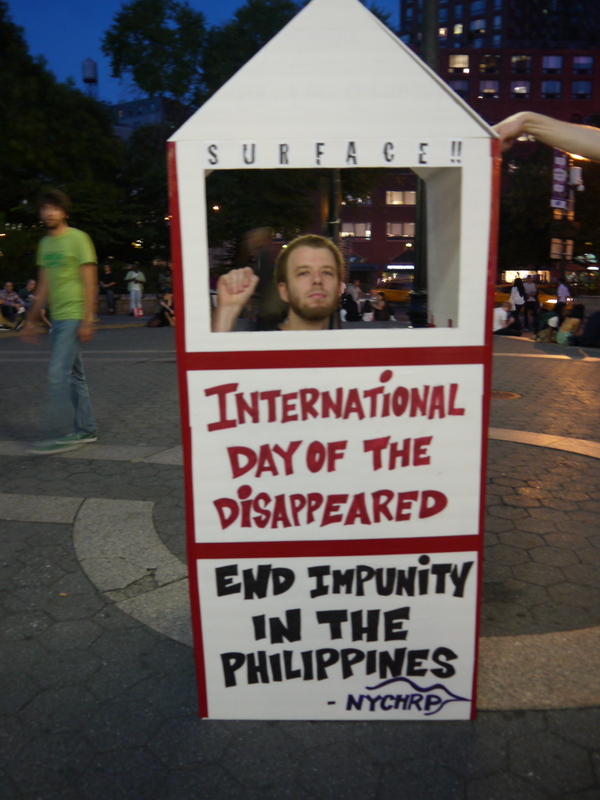 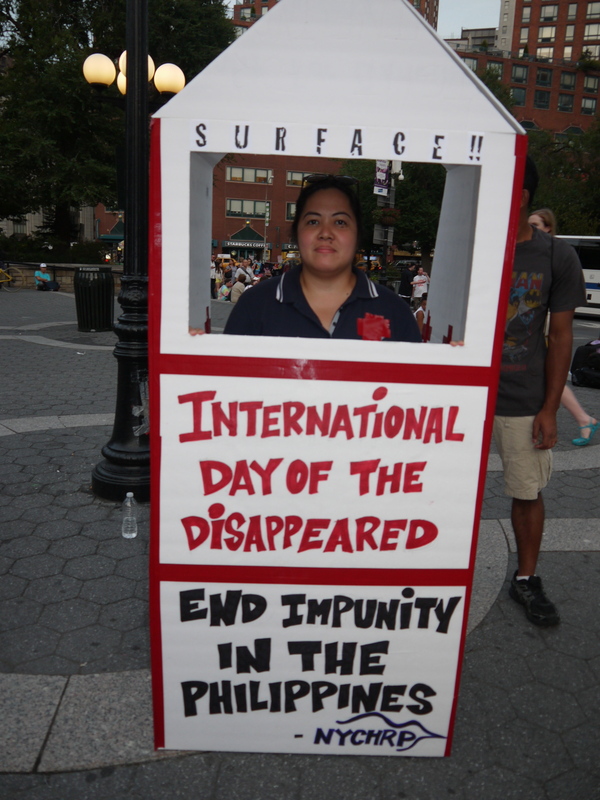 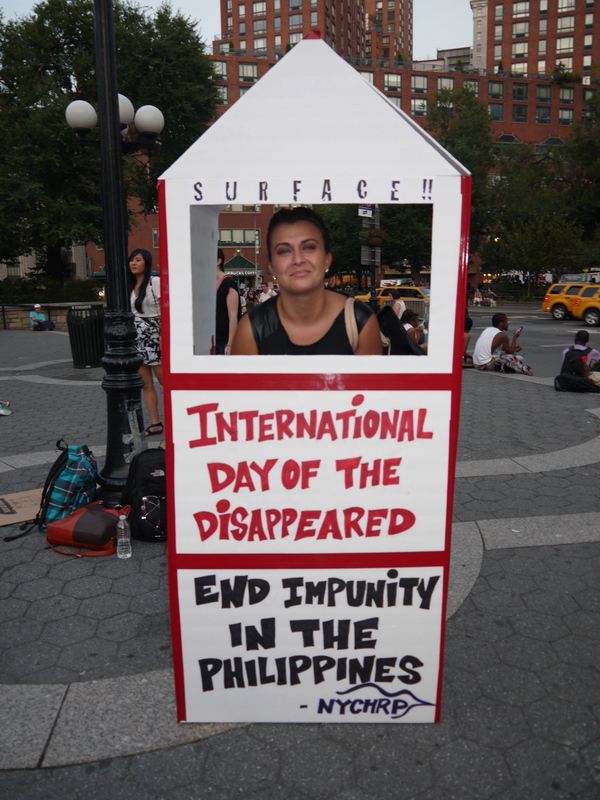 Join us this August 30th, the International Day of the Disappeared, as the New York Committee for Human Rights in the Philippines (NYCHRP) brings attention to the thousands of victims of enforced disappearances in the Philippines and around the World. 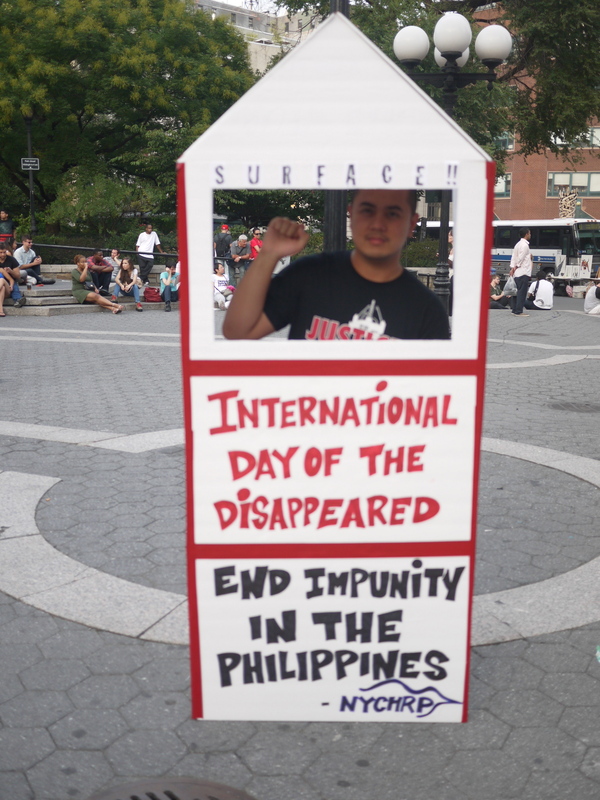 An enforced disappearance is defined as the apprehension of an individual by the state or state agents, taking place outside of the law and leaving them detained secretly, with no legal protection. 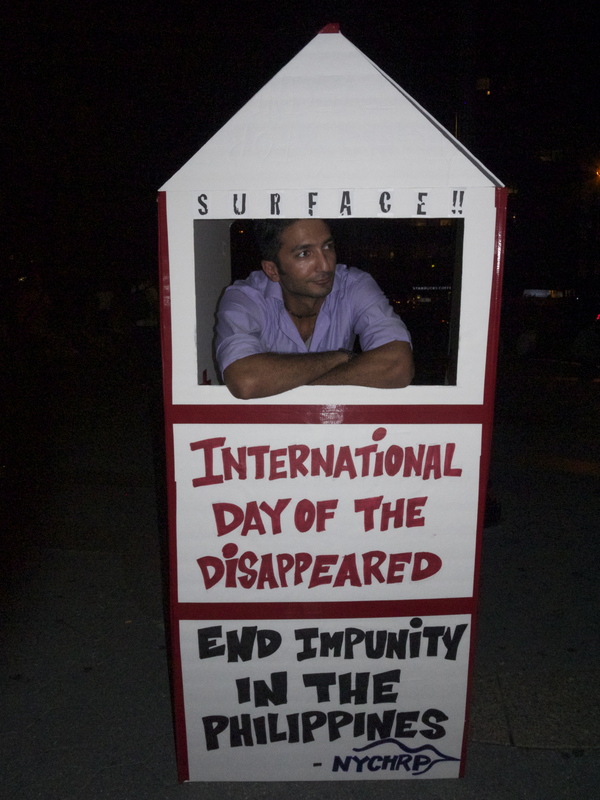 Imprisonment under such circumstances is a grave violation of human rights and International Humanitarian Law. 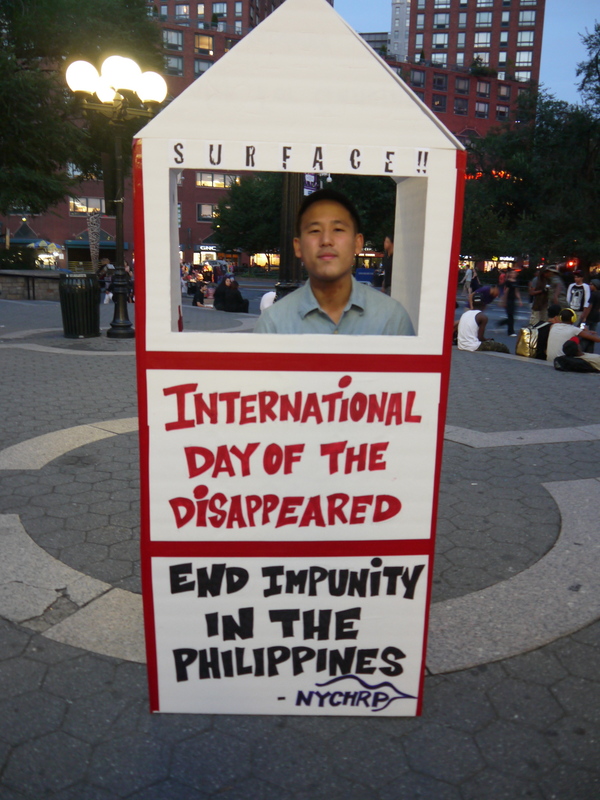 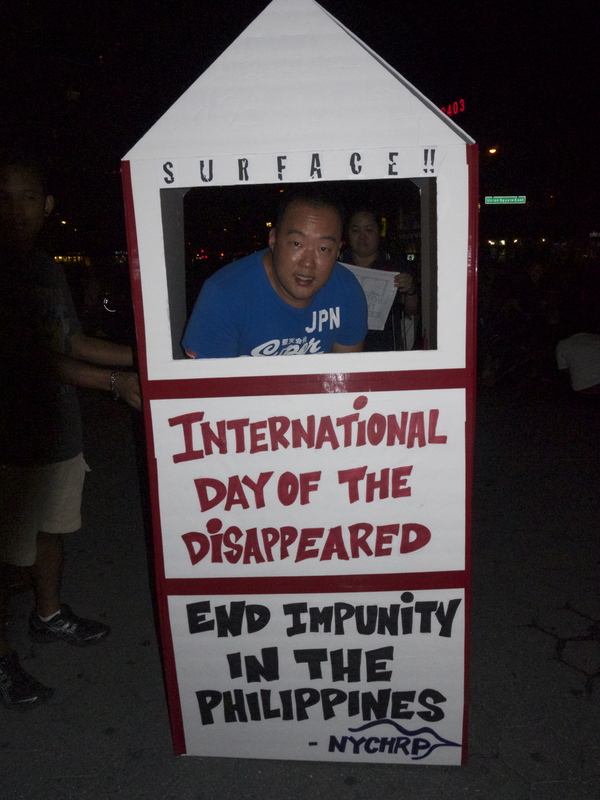 Under the current President of the Philippines, Benigno “Noynoy” Aquino III, there have been 16 cases of enforced disappearances. 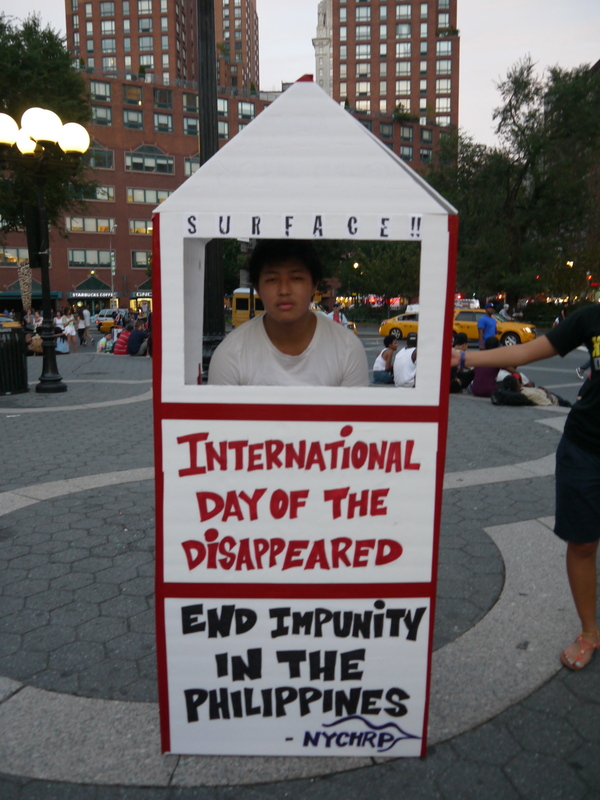 205 are still missing since the previous regime. 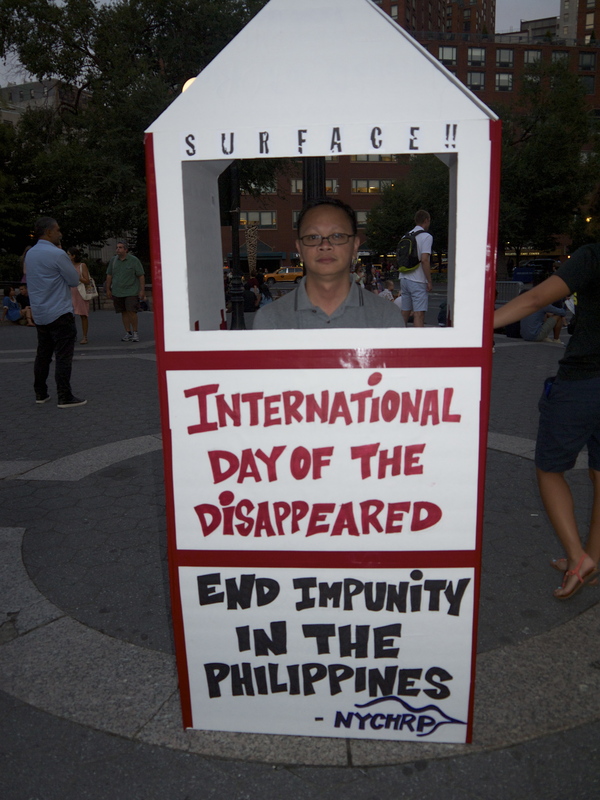 Their families seek justice, and the Philippine government must be pressured to surface the disappeared and end impunity now! 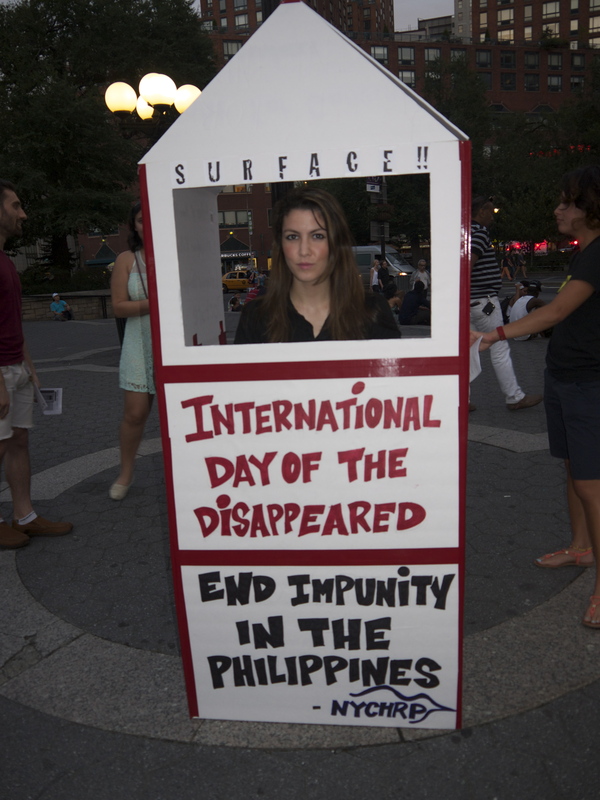 We demand that these victims be surfaced and that those responsible be brought to justice. 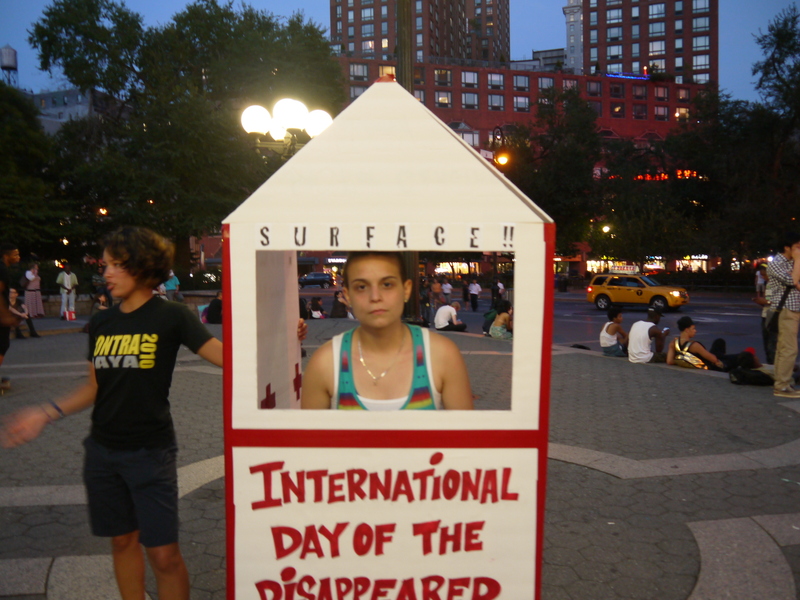 Come to Union Square on August 30th and take a photo to stand in solidarity with the thousands of families worldwide that are still searching for their loved ones. 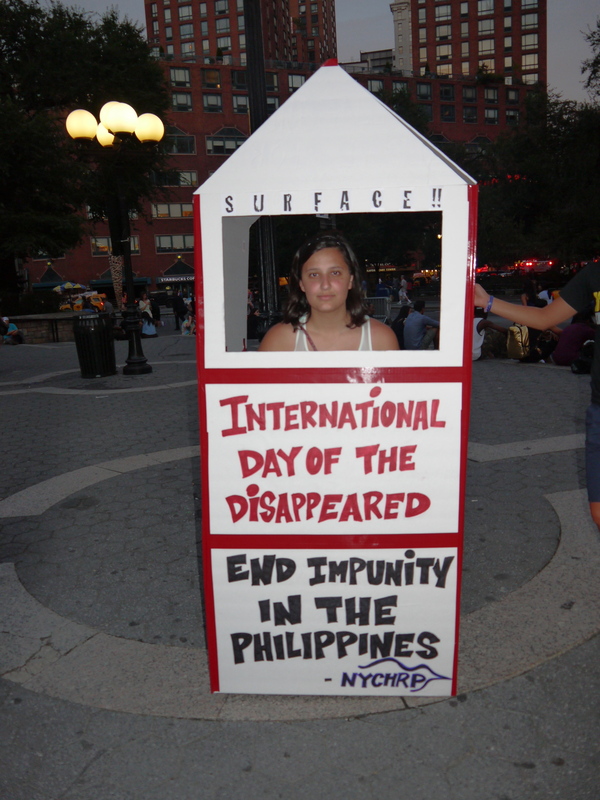 Previous Post CHRP on the MIC: Fundraiser to Send NYCHRP to the Philippines!